Mazal Tov! You and your family are about to celebrate a significant milestone in your child’s life. 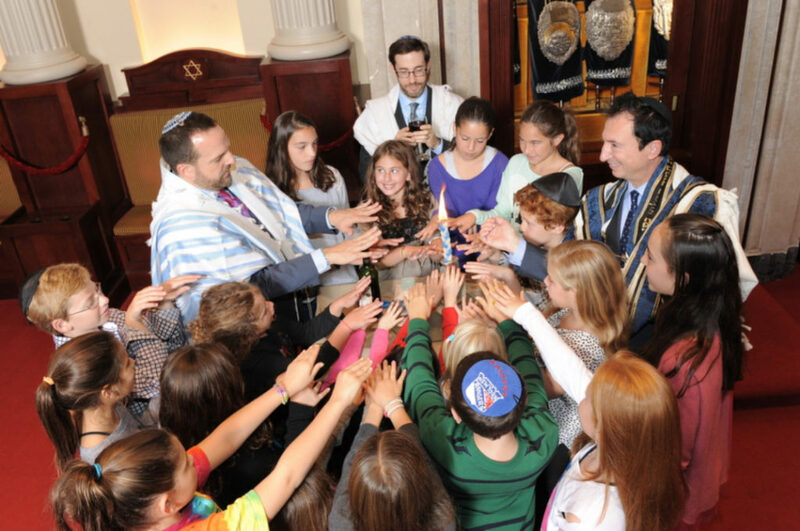 A Bar/Bat Mitzvah marks the time in a person’s life when the larger community begins to view that person as an adult. In the Jewish tradition, a person is now capable of assuming more responsibilities, observing laws from the Torah, Mitzvot, participating in religious rituals, and being counted as part of a Minyan (prayer quorum). The leaders and congregation of Temple Emanu-El are excited to share this joyous moment with your family, and are here to help you prepare for the occasion as best we can. Planning for this event can seem overwhelming. However, we are here to help you. Here, you will find information that describes our Temple’s policies and aims to answer questions that you or your family may have. However, this booklet is by no means all inclusive, and should you have additional questions please do not hesitate to call the office at (201) 750-9997.